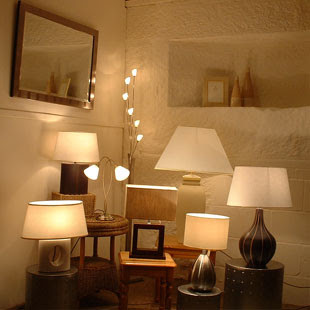 One of the most important elements in home interior decorating is home lighting. 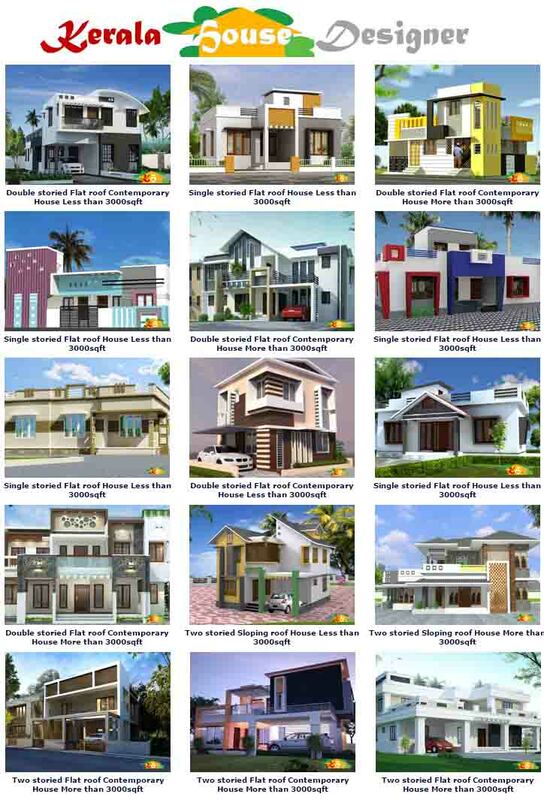 Being a tropical climate, Kerala homes can make efficient use of the abundant sunlight available, and have a home-lighting scheme that can complement it. Lighting is instrumental in setting the mood of any room. 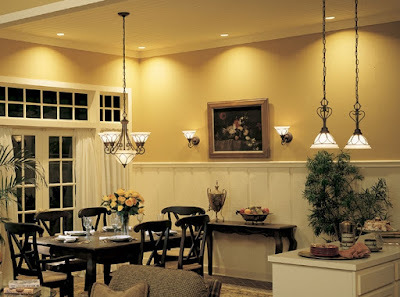 When deciding what lighting to use in your new home think about how each room will be used. This will allow you to choose fixtures that fit your style, budget, enhance your architectural features and are energy efficient and functional. To ensure you create the right effect in every room, you should understand the four basic types of home lighting. 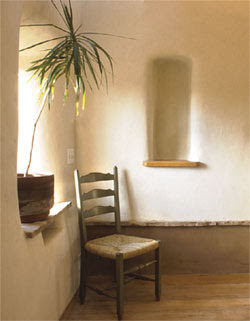 Ambient lighting or general lighting illuminates the whole room. It is a good idea to install a dimmer with your track and recessed lights so that you have the flexibility to adjust the brightness. Examples of ambient lighting are recessed downlights, cove lighting, soffit lighting, valance lighting, wall light, sconces, surface-mounted lights, pendant lights, track lights, chandeliers, under-cabinet lights and portable fixtures. Task lighting provides sufficient light to help you perform the task at hand, for example cooking, office/school work, reading, grooming, etc. Task lighting should be glare free and it should make things easy to see without tiring or straining your eyes. Examples of task lighting are valance lighting, recessed lighting, pendant lights, under-cabinet lights and portable fixtures. Accent lighting is focused lighting that is used to illuminate an object in your home like a sculpture, piece of art, or architectural element. Accent lighting is about three times as bright as ambient lighting. 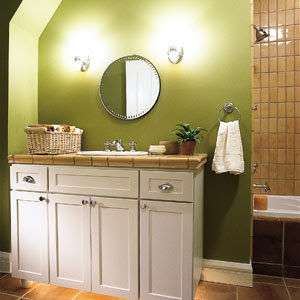 Examples of accent lighting are wall washers, sconces, track lights and under-cabinet lights. Natural lighting comes through windows, doors, and skylights and depending on the time of day, season, or weather, it can vary in brightness and intensity. Some general design trends to keep in mind to help you choose the right type of lighting for every room in your home. Since the average home has increased in size, particularly with design elements like high ceilings, open floor plans and expanded kitchen and bath areas be sure the fixtures you choose are large enough to handle the task at hand. You may need more lighting and larger fixtures, but you don't need to add to your electric bill — use compact-fluorescent lamps (CFLs), LEDs (light-emitting diodes), dimmer switches and whole-house control systems. To accommodate the trend in high ceilings, manufactures are now designing floor lamps that are nine or ten feet high — the standard size is eight feet. Consumers are moving away from the plastic and resin look and opting for Old World-styling look with brass and copper fixtures. A big trend to brighten up task areas is using recessed lighting, under-cabinet lights, mini pendants and island lighting. As more and more homeowners look to enhance their outdoor living space, lighting is becoming a key element in enjoying their decks, patios, balconies, outdoor kitchens and pools. 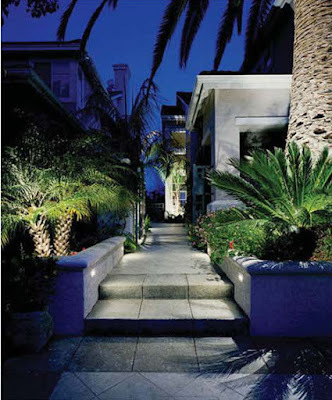 The selection for outdoor lighting is as stylish and functional as indoor lighting. When you construct a new, energy-efficient house in Kerala, you'll need to consider lighting as part of your whole-house design — inside and out. Since you're most likely purchasing all new lighting fixtures, it is a good idea to install compact fluorescent lamps (CFLs). These fixtures are a great choice for accent and ambient lighting, because they achieve the same light quality of traditional filament light bulbs (incandescent lamps) but at a much greater savings. When it comes to designing your indoor lighting for energy efficiency, you will want to consider some basic design principles and methods. Remember that more light is not necessarily better and that quality really matters, especially with task and ambient lighting. Match the amount and quality of light to the performed function. Install task lights where needed and reduce ambient light elsewhere.Use energy-efficient lighting components, controls, and systems. Maximize the use of natural light. A proper balance of task and ambient lighting has to be maintained. Install fluorescent light fixtures for all ceiling and wall-mounted fixtures that will be on for more than two hours each day. These often include high-usage areas like the kitchen and living room, bathrooms, halls, bedrooms, and other higher-demand locations. 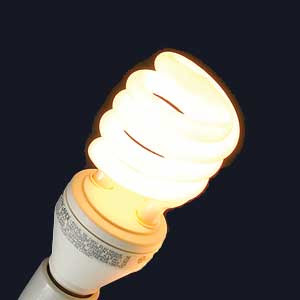 Install compact fluorescent lamps (CFLs) in incandescent fixtures, so that the fluorescent bulbs can be used for the life of your home. Use occupancy sensors for automatically turning on and off your lights as needed and dimmers to control the amount of light you need. When it comes time to designing your outdoor lighting, you'll need to consider the purpose of the lighting along with the basic methods for achieving energy efficiency. Generally speaking, outdoor lighting serves one or more purposes, which include aesthetics to illuminate your home's exterior and landscape, security near your home's entranceway and driveway and utility to illuminate your car porch, veranda, garden, deck and/or driveway. Security and utility lighting does not need to be bright to be effective. Consider incandescent floodlights with combined photo sensors and motion sensors in the place of other security lighting options. Make sure your outdoor light fixtures have reflectors, deflectors, or covers to make more efficient use of the light source and keep them from getting weathered. Use timers and other controls to turn decorative lighting on and off. 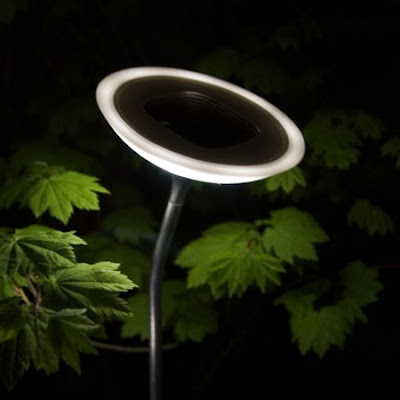 To line a driveway or pathway or outline a pool or patio, use outdoor solar lighting. In Kerala cities like Kochi, Trivandrum & Calicut, and also in many towns, companies that sell Electrical and Lighting fixtures, also provide professional Lighting designers to create the best Lighting scheme for your residence. Lighting design is one of the most important aspect of your home's interior and exterior spaces. It is especially important to work with a competent lighting designer when building a new home, because every aspect of lighting design, from installing electrical wiring to hanging fixtures is a lot easier and cost effective during the early stages of home construction. A good lighting professional will be able to offer valuable and innovative ideas that can be incorporated into the structural design of your home. Together you can create a custom lighting plan that meets your tastes, décor, personal habits, budget and compliments your home's living spaces. Most importantly, make sure your lighting plan is functional, because a good lighting design isn't worth the expense if it's more difficult to operate than it is to enjoy and utilize. By working with a lighting professional you'll end up with a sound lighting plan that will pay off in satisfaction and convenience for years to come.